One of South America’s leading Coeducational Independent Day School’s for children aged 3-18. An exceptional opportunity has arisen at one of South America’s leading School’s for outstanding, inspirational and charismatic English teacher for the Middle Section to participate and further enhance our excellent reputation. English Teacher (10yrs to 14yrs) to join our Middle Section team for March 2019, or as soon as possible thereafter. - To show empathy and have excellent interpersonal skills together with the ability to work with diverse groups of children and colleagues. - Collect data to understand student achievement so as to make informed decisions regarding pupils learning. - Develop alternative forms of assessment so as to allow pupils to have the opportunity to demonstrate their achievements. - Work with diversity in the classroom ensuring a quality learning outcome under the principles of equal opportunities for all pupils. - Contribute to the professional learning community through expertise and a passion for learning. - To provide an excellent role model for all members of staff and for pupils in all aspects of school life. - Applicants will have a degree with a teaching qualification; further qualifications such as Masters, are desirable. - Applicants will have a proven track record and preferably have experience of the IB PYP/MYP/DP programme. Applicants will be fluent English speakers, however an understanding of Spanish is desirable. - The role will require the teacher to have excellent interpersonal and organisational skills, outstanding understanding of teaching and learning in all aspects of child development and the ability to develop and sustain high educational standards. - Applicants will be excellent communicators who enjoy positive relationships with pupils, colleagues and parents. - Applicants will be well versed in the use of technology and willing to adapt to change. - Applicants will be creative and committed team player who show empathy, drive, energy and passion and who have a good sense of humor and a desire to participate fully in all aspects of school life. - An enthusiastic learning community of pupils, teachers, parents and Board members, who all are dedicated to maximize pupils achievement for each and every learner and to create positive learning opportunities within and beyond the classroom. - Working within a team of highly driven and supportive colleagues. - Contract is initially for three years and includes an attractive compensation package at international level. We are a bilingual, co-educational school with Chilean and British traditions. We warmly welcome families, value open mindedness, appreciate cultural and religious diversity, and promote teamwork. Our Educational Project fully integrates the academic and formative areas so that each pupil reaches his/her full potential as a person. Together with the family, teachers and pupils, Craighouse School strives to build a positive school culture, and to ensure that every pupil feels safe and secure at all times. 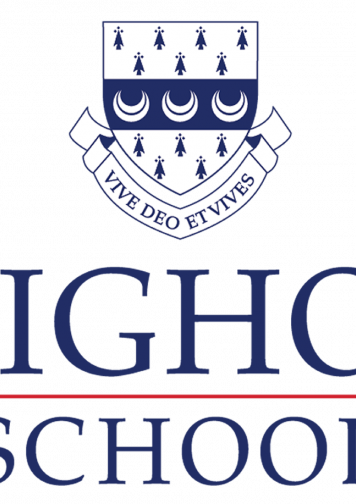 Our core values serve as guiding principles in the school’s day-to-day life and are expected to orient the decisions and judgments made by pupils, families and staff members. Both the academic and formative curricula in our school provide opportunities for pupils to develop their individual talents and interests in many and very diverse domains – including the mathematical and scientific, artistic and humanistic, as well as in languages, sports, and social, emotional and spiritual areas.